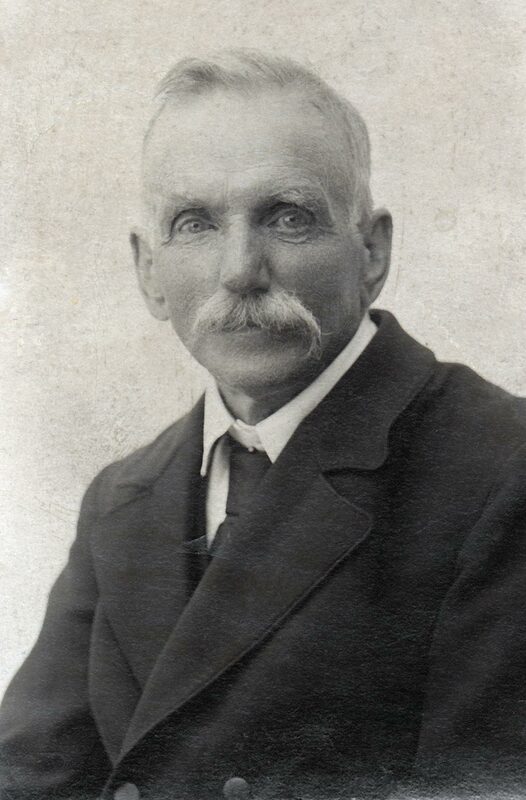 Edward C. Christian was born on 25 Aug 1833 in Rushen, Isle of Man of parents James Christian and Margaret Corlett. 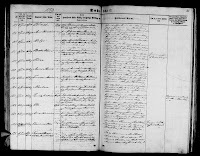 The youngest of 9 children, Edward was baptized on 01 Sep 1833 in Kirk Christ (also know as Holy Trinity). Today, the church is most commonly known as Kirk Rushen and is located in Rushen which is the south-western most province/parish of the Isle of Man. The church is between the villages of Port St. Mary and Port Erin, north of the Four Roads. Home was located at Croite-e-caily farm in the eastern end of Rushen, where Edward lived with his parents James & Margaret, 6 brothers & 2 sisters. 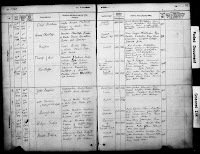 After Edward’s mother Margaret passed away it appears the family may have had to move for a while to Kentraugh, Rushen, but it is not known for certain as the family is later mentioned to still be living at Croite-e-caily farm. When Edward came of age he found work as an Apprentice Tailor for Mr. Thomas J. Quayle (1829-1883). Ed was noted as standing 5 feet 5 inches tall. Johannes Beyeler was born on 03 Sep 1854 in Schwarzenberg, Wahlern, Bern, Switzerland to parents Christian Beyeler and Magdalena Hostettler. 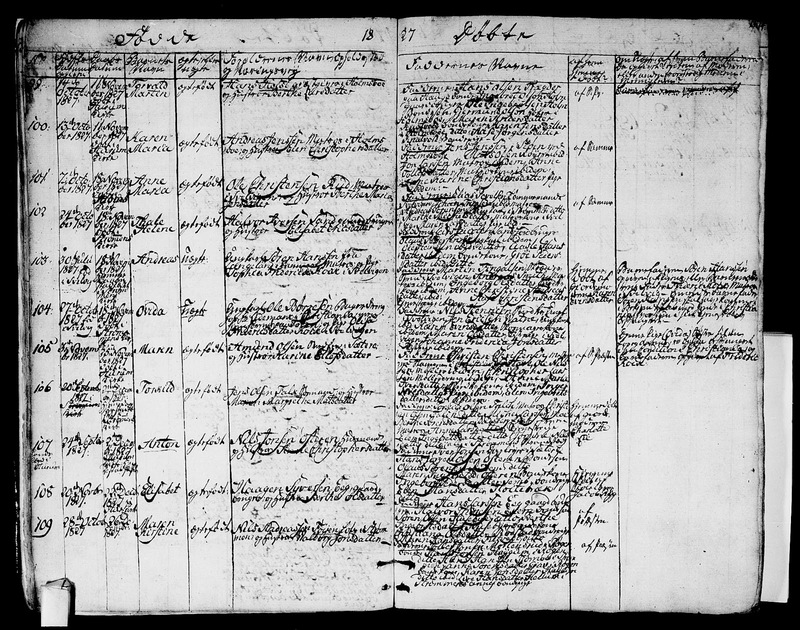 Johannes, better known as John, is listed under multiple last names in his lifetime. 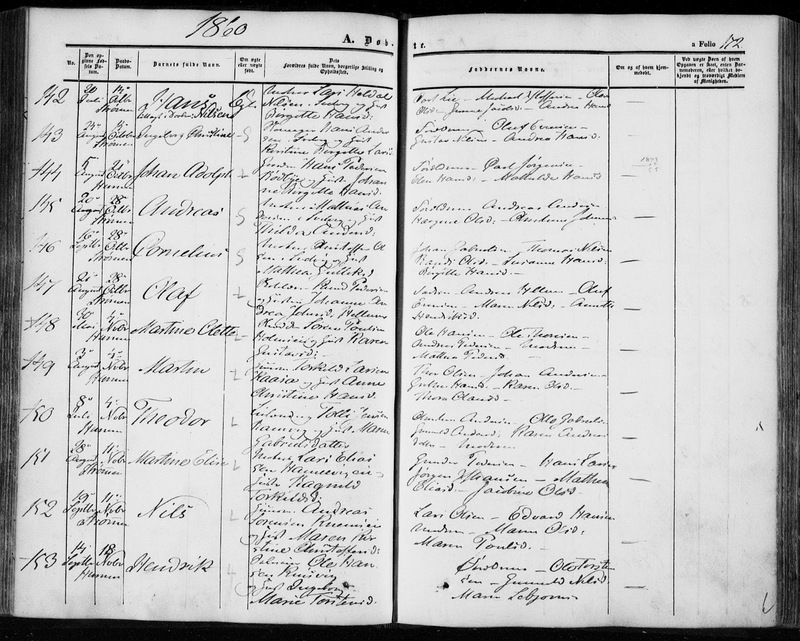 Originally, John states his last name as "Beyeler", after immigration he changes it to "Beieler", common misspellings have listed "Beiler" & "Beichler", and finally some children adopted "Beeler". 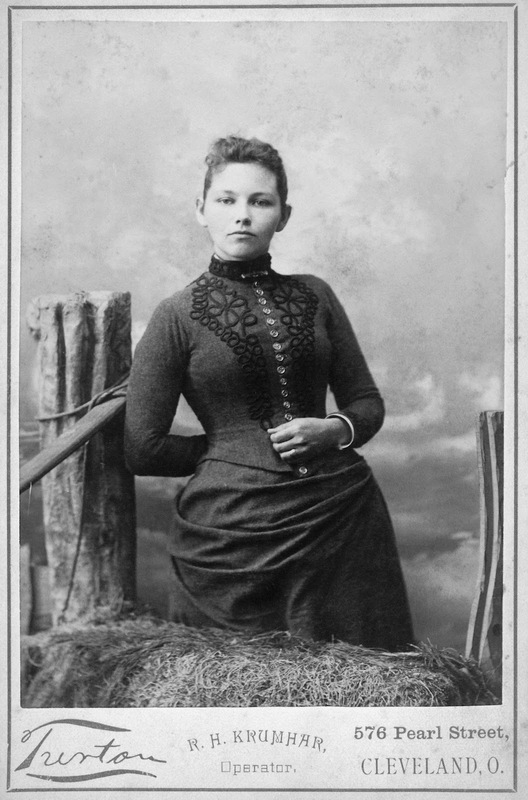 Magdalena "Mattie" Krenger was born on 24 Jun 1853 in Thurnen, Bern, Switzerland to parents Albert Krenger and Barbara Kunzi. 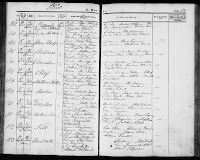 John Beyeler married Magdalena "Mattie" Krenger on 26 May 1876 in Bern, Switzerland. 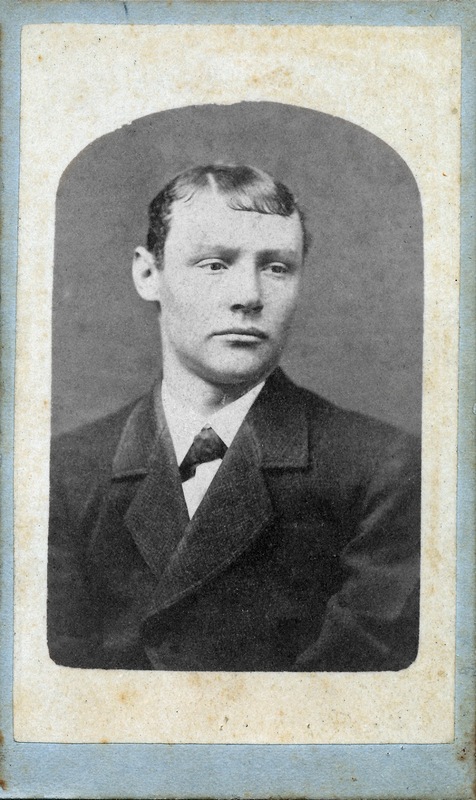 John departed France and arrived in New York, New York on 3 Feb 1882 aboard the ship St. Laurent. He ended up in Ohio where he proceeded to make a life for him and his family in anticipation of their arrival. 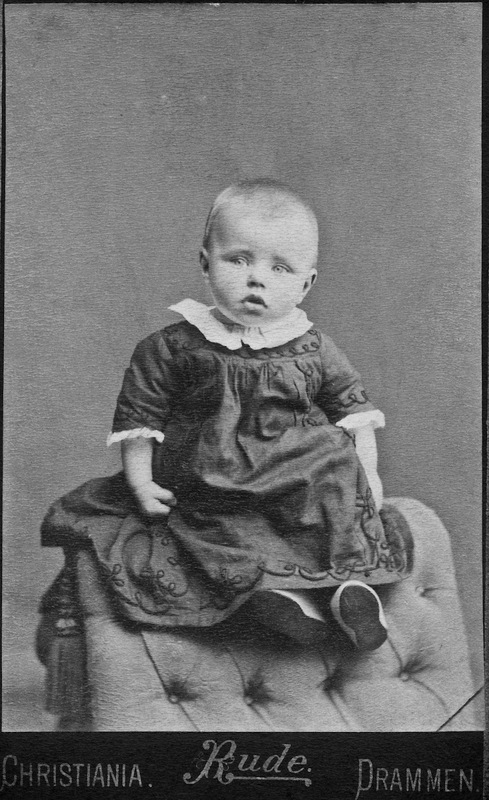 Mattie arrived two years later in 1883 with five year old daughter Emma. 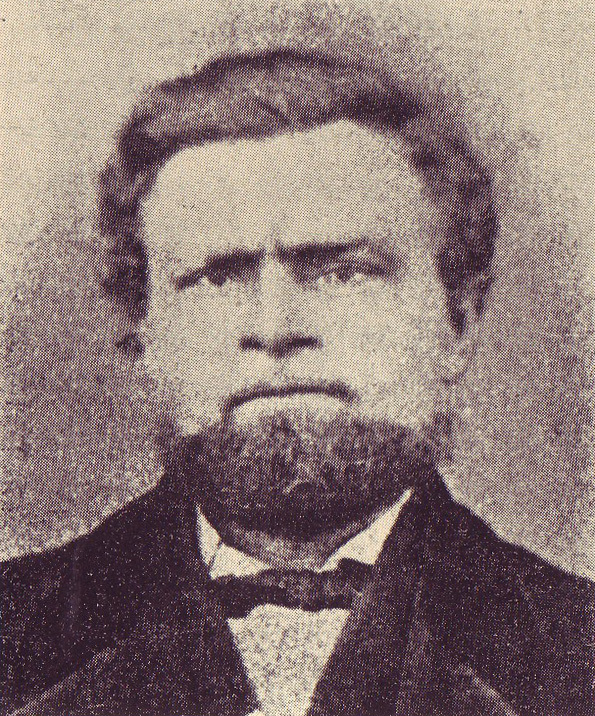 Andreas Johnsen was born on 08 Mar 1830 in Svelvik, Vestfold, Norway to parents John Nilssen and Ingaborg Karine Oudensdatter. He was baptized on 05 Sep 1830 on the opposite shoreline in Hurum, Buskerud, Norway. 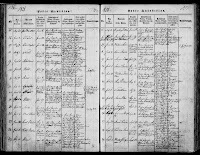 Andreas was confirmed on 05 Oct 1845 in Hurum, Buskerud, Norway. Anne Maria Olsdatter Ruud was born on 07 Oct 1827 in Strommen, Vestfold, Norway to Ole Christensen Ruud and Berthe Maria Jensdatter. 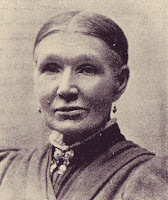 She was baptized on 18 Nov 1827 in Hurum, Buskerud, Norway. In 1842 Anne was confirmed at the local parish in Hurum, Buskerud, Norway. 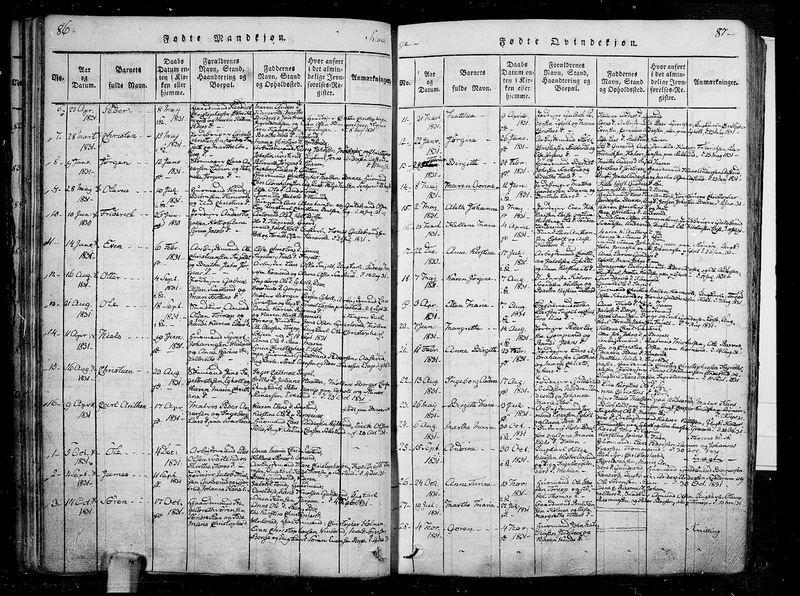 On 17 Dec 1855, Andreas Johnsen married Anne Marie Olsdatter Ruud in Hurum, Buskerud, Norway. 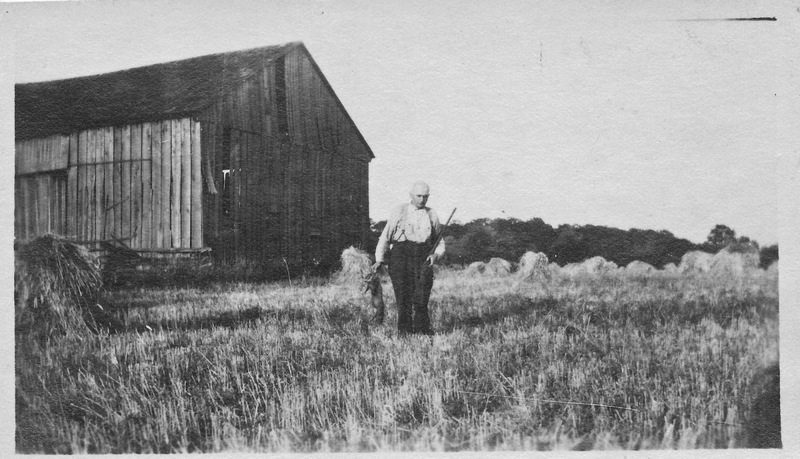 On the 4 Aug 1862, Andreas bought farm house 11a in Svelvik from Ole Halvorsen for $108. Here Andreas and Anne would raise their six children. 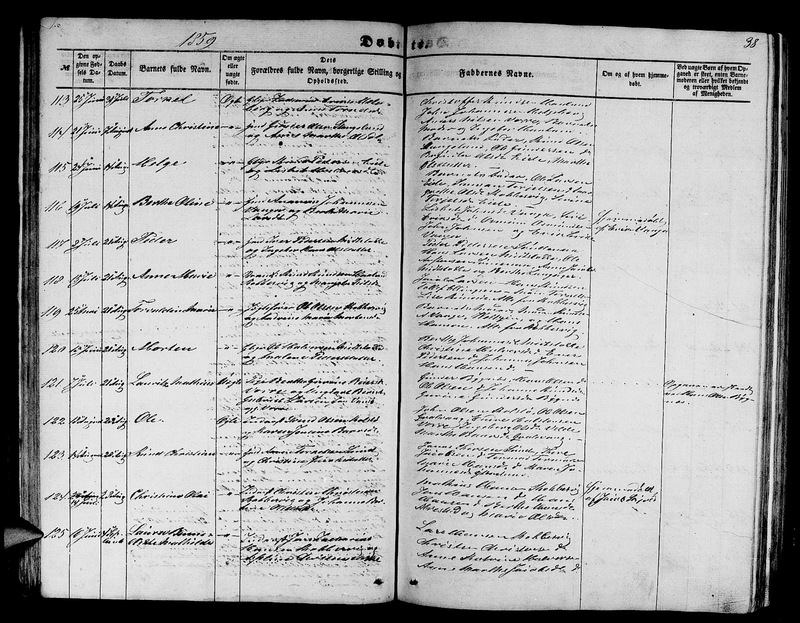 This is supported by their appearance on the 1865 census where they are listed as living in house 11a in Svelvik with 5 children (son Andreas would not be born for another 2 years). 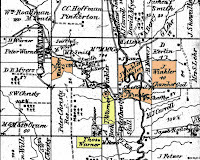 John Wesley Winkler was born on 02 Nov 1840 in Wayne Township, Wayne, Ohio to parents Jacob Winkler and Barbara Alleman. John grew up in Wayne Township, Ohio. 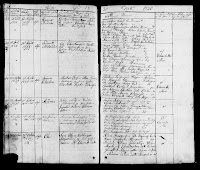 He was the eldest son and had 4 brothers (James, William, David & Martin) & 5 sisters (Sarah, Mary, Margaret, Anna & Emma). Next door was Grandparents Lawrence & Fanny Winkler’s house, Uncle Enoch Winkler & his wife Rachel’s house, Grandparents Christian & Sarah Alleman’s house, and Uncle George Winkler’s house. 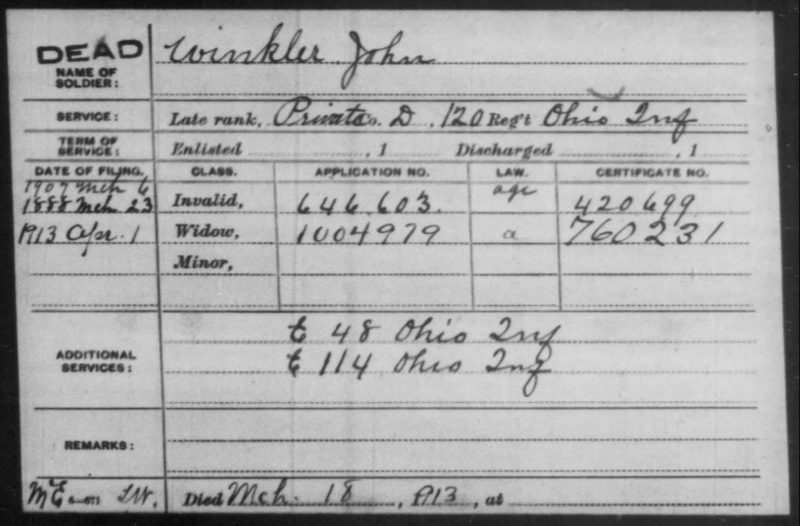 On 22 Aug 1862, at the age of 21, John Wesley enlisted as a Private to serve in the Ohio Volunteer Infantry for the Union Army during the Civil War and on 15 Oct 1862 in Mansfield, Richland, Ohio, John was assigned to Company D of the 120th Ohio Volunteer Infantry. JWW was with the 120th for the length of the regiment’s service, during which two officers & 17 men were killed in action and 6 officers & 275 men died of disease while serving under the 120th OVI. 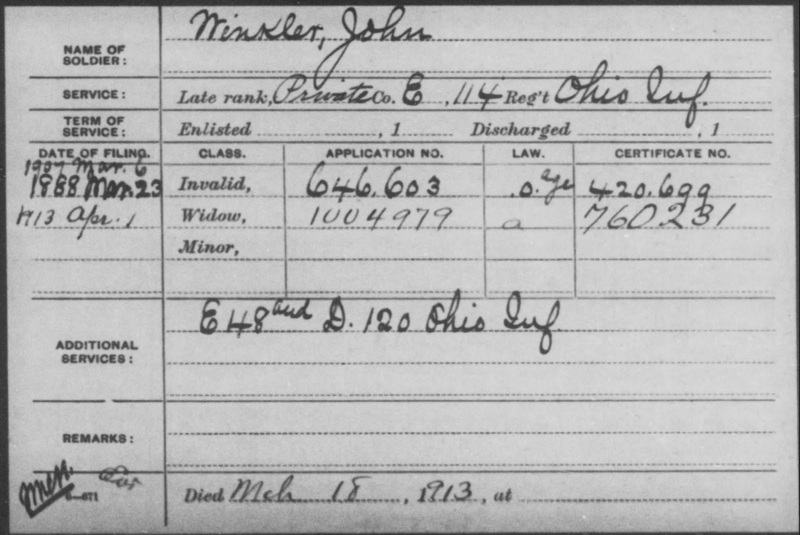 On 27 Nov 1864, after mustering out of the 120th, John was transferred to Company E 114th Ohio Volunteer Infantry. Here in the 114th regiment, the last years’ of his service were devoted to various expeditions, guard duty, etc. 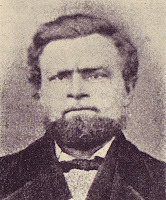 Christoffer Christensen Orhuus was born on 19 May 1828 in Sande, Vestfold, Norway and was baptized on 22 Jun 1828. 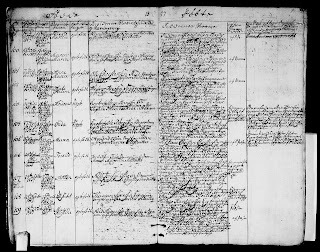 He was raised on the "Quirk" (or "Quirle", its hard to read) farm in Sande where he was confirmed on 01 Oct 1843 in Sande, Vestfold, Norway. By the age of 25, Christoffer was most likely living on the Orhus farm, but the pay on the countryside for a farmhand was so poor that he decided to move to the neighboring village of Svelvik & Strommen and take up sailing instead. At this time (1853-1856) the Crimean War had created a lot of shipping jobs that made living in the coastal towns more attractive than farm life. Mathea Gulliksdatter Loe was born on 21 Mar 1831 in Skoger, Vestfold, Norway to parents Gullik Petersen Loe and Maren Christensdatter Wear. She was baptized on 09 Apr 1831, also in Skoger. (Skoger was along the border of Vestfold and Buskerud. It became a part of Buskerud county in 1964 when it was incorporated into Drammen). 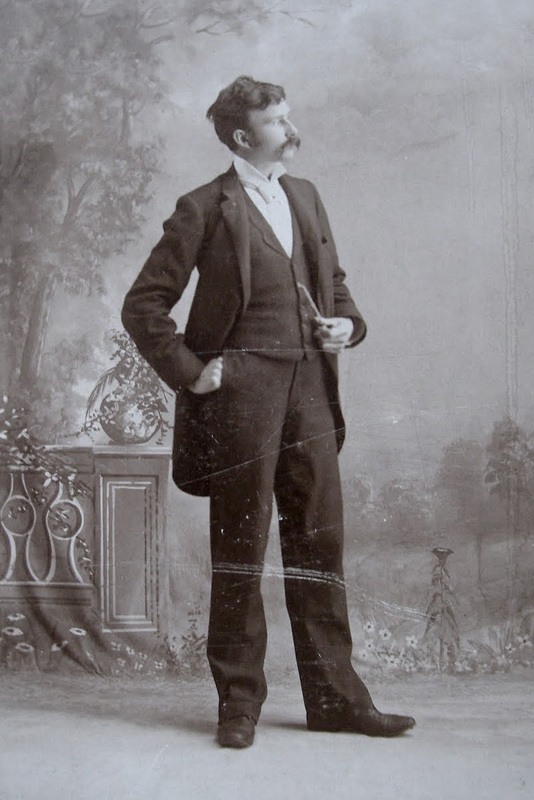 George Edward Christian was born on 22 Nov 1858 in Berea, Cuyahoga, Ohio to parents Edward Christian and Maria Simons. George was the oldest of 9 children, 6 of whom were boys. He grew up in Berea, Cuyahoga, Ohio where he went to school and learned to read and write and once he got old enough, worked as a Laborer. Frances Jane "Frankie" Dodge was born on 29 Jun 1862 in Springfield Township, Mahoning, Ohio, to parents Rufus Dodge and Sarah Bryant. Frankie was the 2nd of 3 children, all daughters. By the summer of 1870 Frankie and her family had moved to Ridgeville, Lorain, Ohio (now North Ridgeville) where they lived with her sister Hattie (until she married), niece Adela, and later, sister Georgianna. Torvald Hansen Haugen was born on 16 Dec 1864 in Kongsberg, Buskerud, Norway to parents Hans Jorgen Petersen Haugen and Anne Olsdatter. The family lived in Hedenstad, Sandsvaer, Buskerud, Norway on the Haugen farm in what was the Saggrænden and Medheien school district. Torvald was baptized the following year on 24 Sep 1865 in Sandsvaer under the name Torvald Petersen. By the time Torvald was confirmed on 05 Oct 1879 in Avaldsnes, Rogaland, Norway, he had adjusted the spelling of his name to Thorvald to match with the growing national movement at the time. 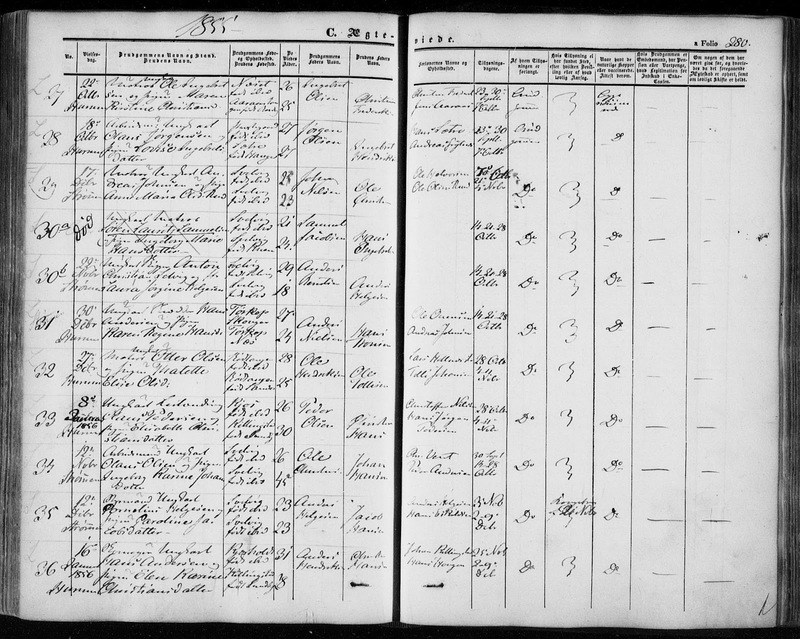 Torvaldine Marie Olsdatter was born on 25 May 1859 in Risin, Avaldsnes, Rogaland, Norway (also listed as Kopervik) to parents Ole Olsen Kjelsvik & Andrine Mortensdatter, and was baptized on 21 Aug 1859 in Avaldsnes. 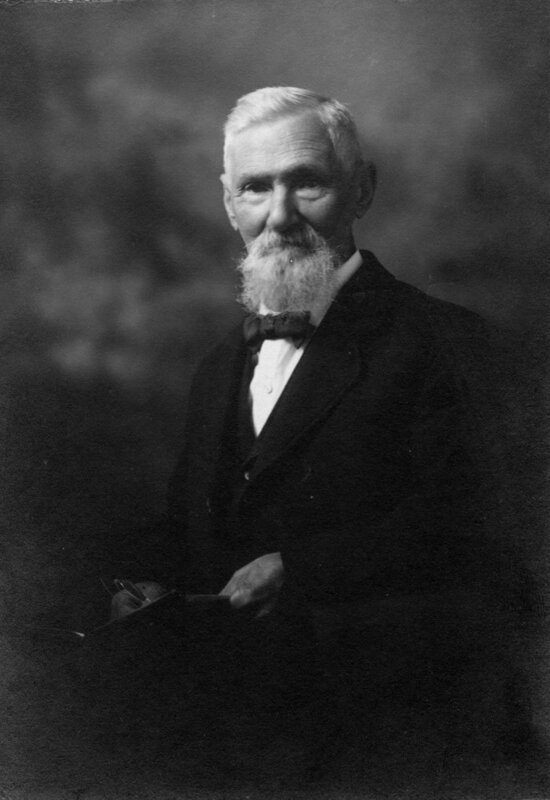 Thomas E. Winkler, known as "Tom", was born on 19 Apr 1871 in Overton, Chester Township, Wayne, Ohio to parents John Wesley Winkler and Catharine Ann Warner. Thomas was raised in Overton. He was the oldest of 4 children, with his sister Effie being 2 years younger, brother William being almost 8 years younger and brother Charles being 18 years younger. The amount of schooling he received is not known but his education level is listed as being able to read and write. 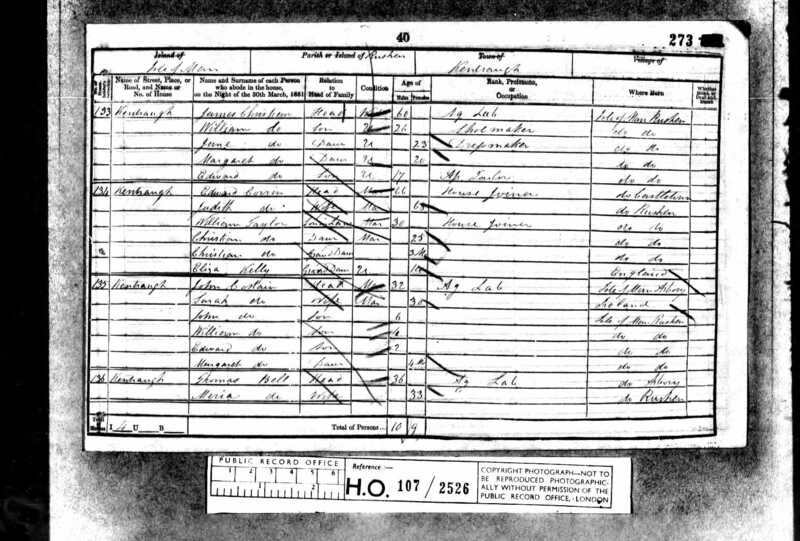 Emma Jane Beyeler was born on 24 Jan 1878 in Wahlern, Bern, Switzerland to parents Johannes Beyeler and Magdalena Krenger. 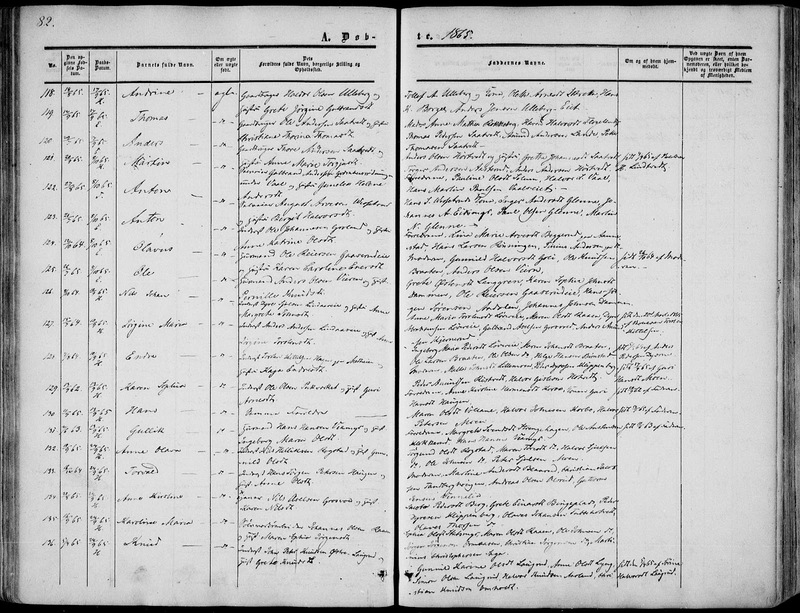 While her father arrived in 1881, Emma arrived at the age of 5 with her mother in 1883, two years after her father. It was very common for married men to arrive by themselves and work to establish a new life prior to the arrival of their wife and children. 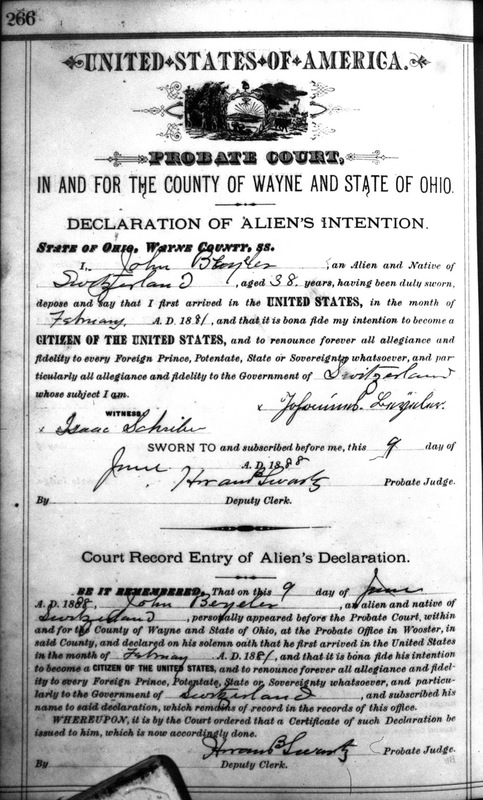 The Beieler family had officially settled in Wayne county, Ohio by 1888. Cornelius Christoffersen was born on 16 Sep 1860 in Svelvik, Vestfold, Norway to parents Christoffer Christensen and Mathea Gulliksdatter. He was baptized on 28 Oct 1860 in Hurum, Buskerud, Norway, a short ferry ride to the opposite shoreline from Svelvik, which at the time was the closest church to the residents of Svelvik. 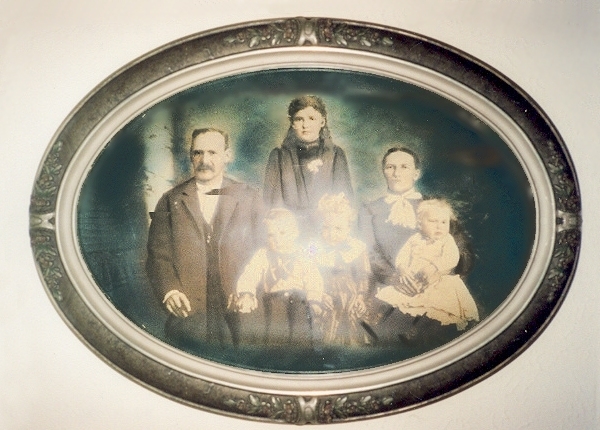 Godparents were John Gabrielsen, Thormond Nilsen, Randi Jane, Susanne Hansdatter, Birgitte Hansdatter. 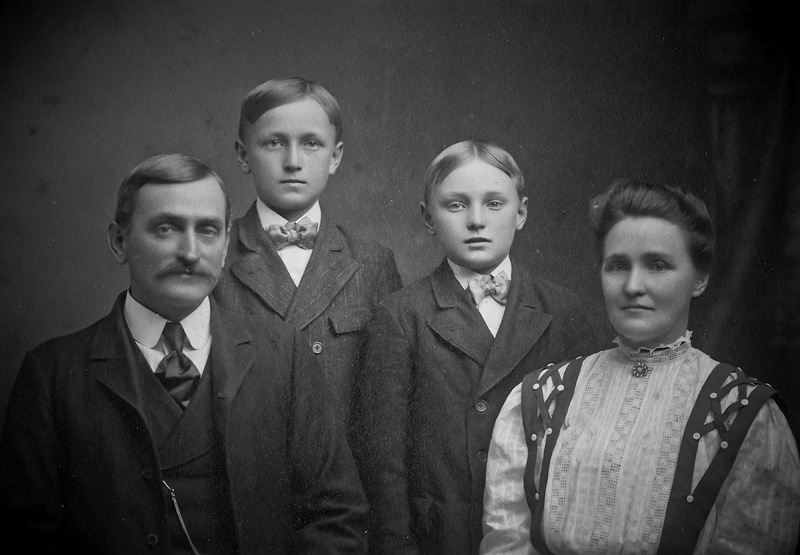 Cornelius grew up in Svelvik at farm house 19a with his parents, 2 brothers Johan & Carl, and a farmhand. His father was a sailor and was regularly away at sea for long stretches of time. 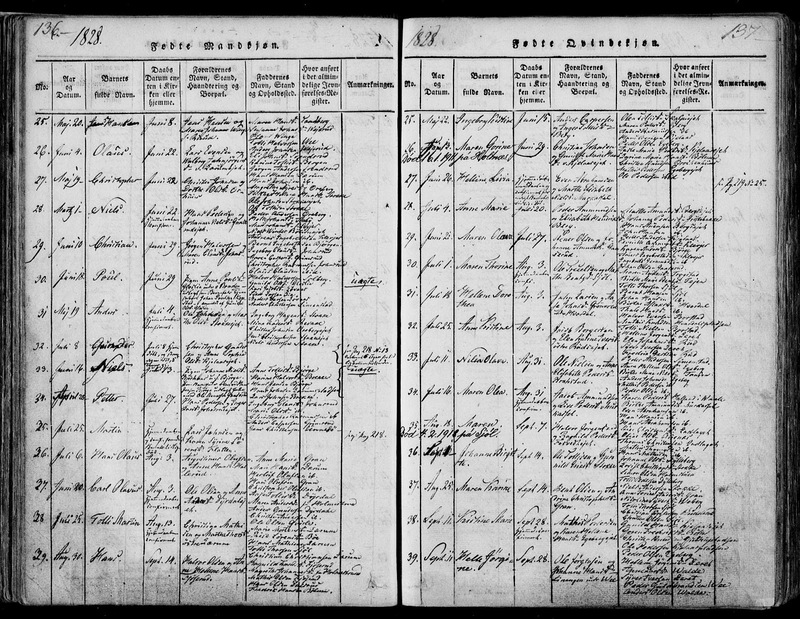 On 04 Oct 1874, Cornelius was confirmed in Strømm, Vestfold, Norway. A confirmation could also be translated as a child's graduation. This was an important event in the entrance into adult life and one could not work or get married unless they had been confirmed. After confirmation, Cornelius took right to sea with the ship "Laura" and its Captain Andreas Gundersen of Svelvik. When Cornelius turned 17, he passed his co-pilot exam and quickly advanced to the rank of master / captain. For a period of time Cornelius even had his own vessel, a small schooner named "Jens Ruffen", which he had bought for $2400 in 1877. Glenford Leroy Winkler, better known as “Glenn”, was born on 17 Jul 1898 in Smithville, Wayne, Ohio to parents Thomas Winkler and Emma Beieler. 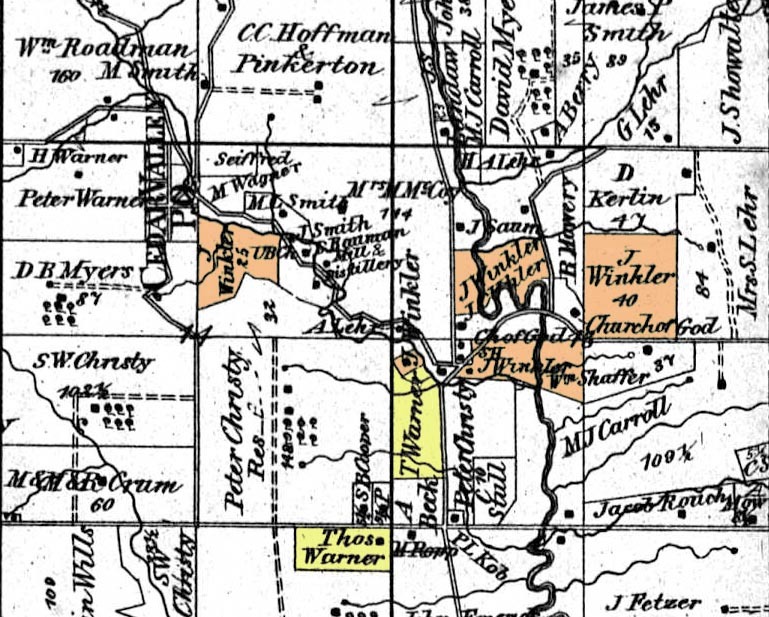 Glenn lived with his parents and older brother Welker in Congress, Wayne County, Ohio. Glenn is said to have only achieved a fourth grade education and that he left home by the age of 14. 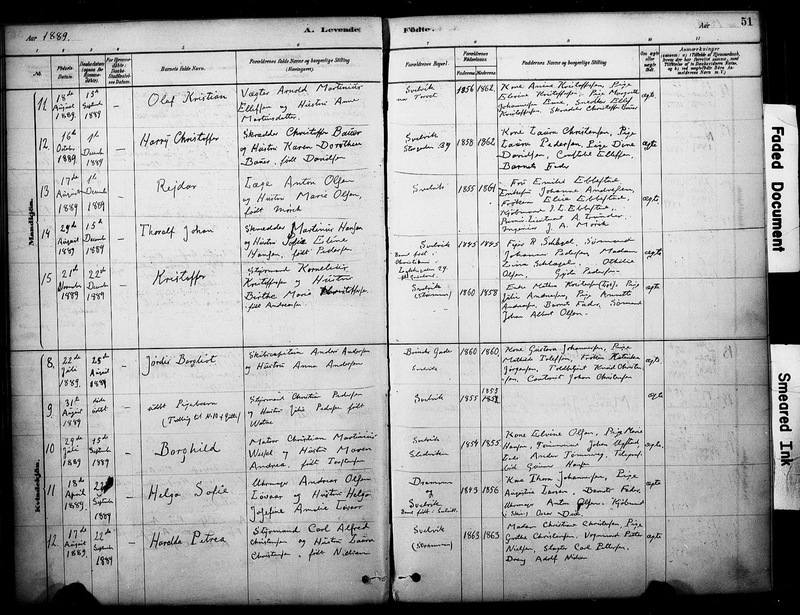 After Glenn left home, the first record we find of him is in 1918, at the time of the World War I draft registration, where Glenn lists his permanent residence as "in car" in Casper, Natrona, Wyoming while working for the Norris Company as a Truck Driver. 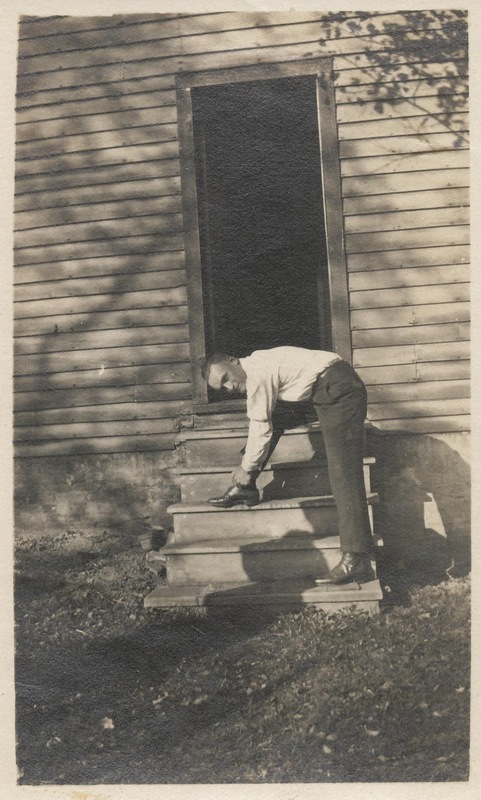 By 15 Jan 1920, Glenn has returned to Wooster, Wayne, Ohio where he is again living with his family at 658 Belmont Avenue. It seems Glenn has given up on truck driving and is now working as a laborer at an aluminum works facility. 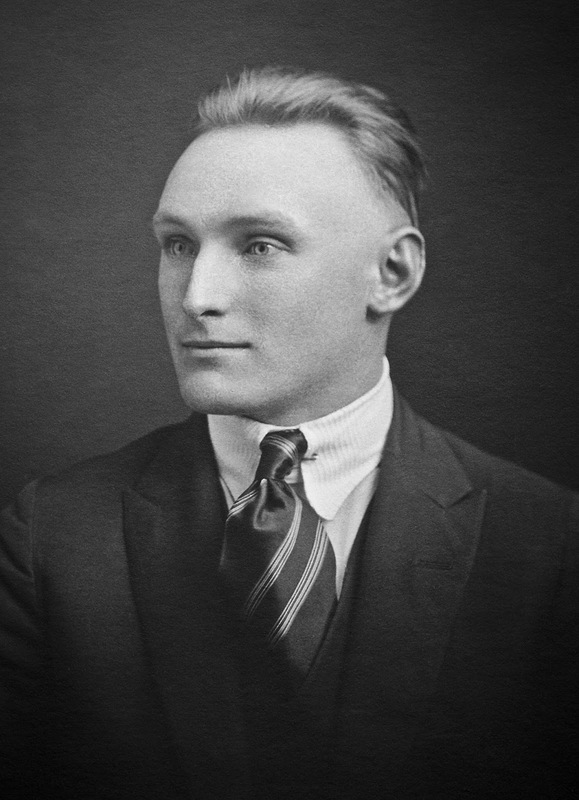 Christoffer Christoffersen was born on 21 Nov 1889 to Cornelius Christoffersen and Birthe Marie Andreasen in Svelvik, Vestfold, Norway. 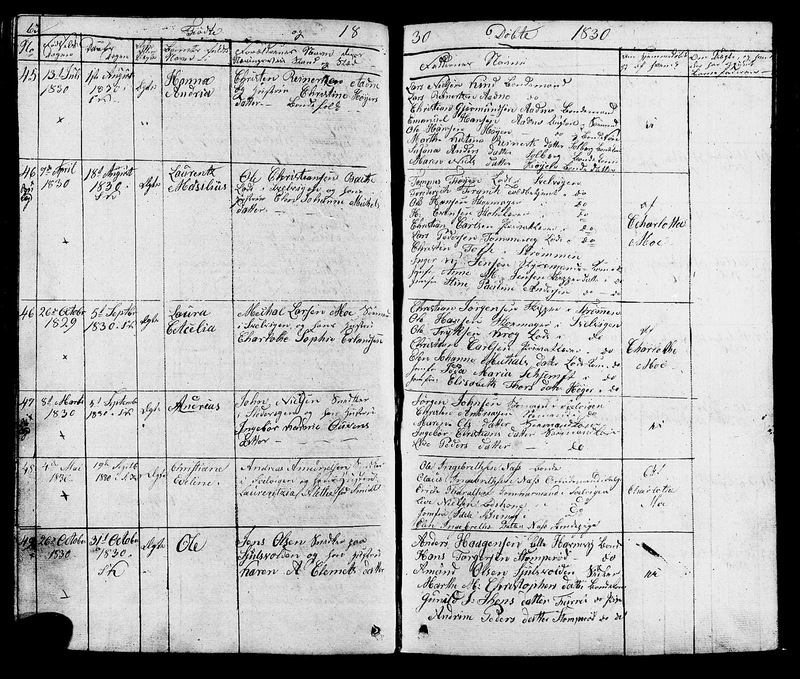 He was baptized on 22 Dec 1889 in Svelvik. His Godparents were Mathea Kristensen (Grandmother), Julie Andreasen (Aunt), Annette Andreasen (Aunt), Barnet Fuder ..., and Johan Albert Olsen. Christopher grew up in a farmhouse on street Tømmeraas Gade (which has since been renamed Brinchs gate) in Svelvik with his parents, brothers Oscar & Rudd, sisters Marie & Cora, a nanny and her daughter. Christoffer was confirmed on 02 Oct 1904 in Svelvik, Vestfold, and took to the sea immediately after where he learned to sail like his father and worked his way up to the rank of first mate. 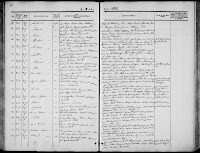 Christoffer and his family departed from Christiania, Norway on 08 Feb 1907 aboard the S.S. Hellig Olav under the name Christoffer Christoffersen, bound for America. He arrived at Ellis Island, New York on 20 Feb 1907. From there, the family went to stay with Christoffer’s Uncle Martin Christiansen at 225 Superior in Cleveland, OH.